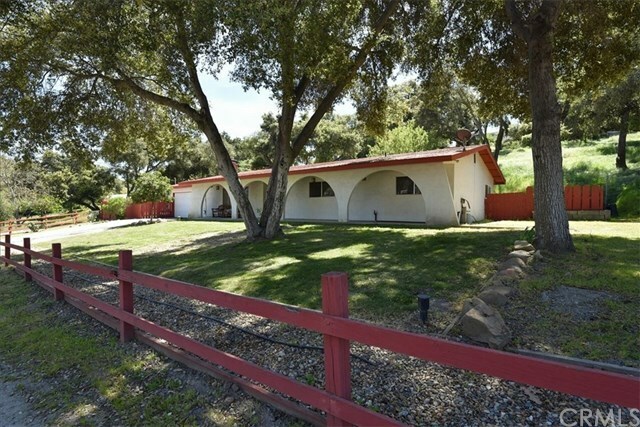 Spanish style 3 bedroom 2 bathroom home featuring a large living room with separate den and kitchen on a large lot close to town. This home features a screened porch area off the kitchen facing the beautiful up-sloped back yard. New carpet and paint recently installed to give this home a fresh look and feel. This is a great opportunity for someone looking for some land to roam free and put down some roots. There is a carport area with plenty of room to add on to your imagination. Check with city for all potential possibilities. All information deemed reliable but not guaranteed.